﻿ HuntingNut » Forums » General » General » Any Canoe guys? Posted: Fri Aug 28, 2009 10:30 am Post subject: Re: Any Canoe guys? Hey Vince, They do have some canoes that have a flat end for mounting a trolling motor. Maybe that would keep you from getting so confused. Posted: Fri Aug 28, 2009 5:09 pm Post subject: Re: Any Canoe guys? Dumb questions only exist in the minds of those that already know the answer!!! Vince, I’m with you mate!!! 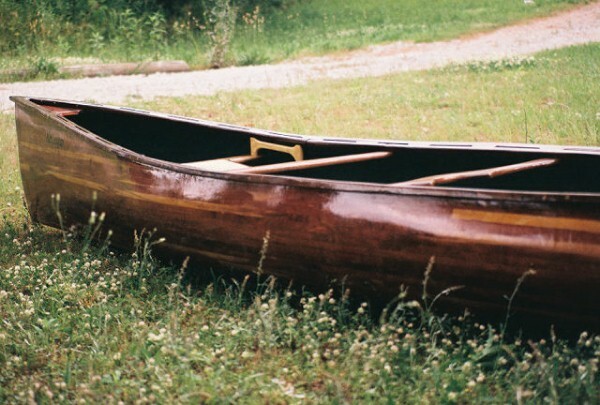 I’ve never seen the inside of a canoe and wondered the same thing!!! I’m just glad you’re the one that asked!!! Posted: Sat Aug 29, 2009 12:09 am Post subject: Re: Any Canoe guys? I've seen the flat ended ones Hoffy...thems I can work out...but to me, bein' a dumb aussie grunt an' all....boats/ships got a sharp end and a blunt end. Anything else is confuserlatin'. Posted: Sat Aug 29, 2009 4:59 am Post subject: Re: Any Canoe guys? How about kayaks-did you look at them? Posted: Mon Aug 31, 2009 2:06 pm Post subject: Re: Any Canoe guys? Are all Aussies easily confused? HAHAHA just messin!! Posted: Fri Sep 11, 2009 4:52 am Post subject: Re: Any Canoe guys? I forgot how easy these things were, Can't wait to take it to the River. This is my wife's Sister and her Friend..I'm the one in the middle..
Posted: Fri Sep 11, 2009 7:34 am Post subject: Re: Any Canoe guys? Posted: Fri Sep 11, 2009 12:58 pm Post subject: Re: Any Canoe guys? With all that white in the face that could be Bushy's twin. Sorry Bushy I couldn't resist. Posted: Fri Sep 11, 2009 1:58 pm Post subject: Re: Any Canoe guys? LOL, He's a good ole Dog, Lab/Hound mix, scared to death of water. Posted: Fri Sep 11, 2009 2:17 pm Post subject: Re: Any Canoe guys? Sure looks comfy in the canoe. Posted: Mon Sep 14, 2009 10:56 am Post subject: Re: Any Canoe guys? Posted: Fri Sep 18, 2009 6:03 pm Post subject: Re: Any Canoe guys? Posted: Sat Sep 19, 2009 12:13 am Post subject: Re: Any Canoe guys? I started out with a home built box was 8" long 18" wide 12"high made out of 1 sheet of 12mm ply. it worked ok on the lake we shot a few birds out of it the flat bum made it very stable. we now have good kayaks they go heaps faster and work great. I have one thats made for 2 small people I mounted the front seat back just a little when im on my own it is slightly nose heavy but with my dog or some ducks/geese or 1 of my children in the back it sits level and goes like the clappers. I shot 3 canada geese out of it this season. they were on the shore I aim just off the mob and paddle slowly in towards them. they usually dont take off untill you are withih 40yrds. I get in close give 2 strong paddles them put paddle down and pick up shotty located between my legs poking out the front. I had my 8yr old son with me on the lake and had 4 mallards with 4 shots as they were flying over us there was 3 dead in the air at the same time. not bad from a pump man even if I am blowing my own trumpet a bit. try a paddle/ double ended about 7" long if it works it is easy to put it down and grab ya gun. hope that gives you an idea or two. Posted: Fri Oct 30, 2009 6:01 pm Post subject: Re: Any Canoe guys? canoe , someone say canoe ..
built this 'un about four years ago ..
Posted: Fri Oct 30, 2009 6:02 pm Post subject: Re: Any Canoe guys?